Knowing that almost all of my audience is made up of moms, I want to personally send my warm wishes to you for a special day of celebrating YOU this weekend! While you may be the main cook in the family (like me! ), I hope that you either get a day off from cooking or find a new favorite meal from the menu below to enjoy around the table with those who fondly call you mom/mommy/mama. I admit, this week's plan was made up of many of MY favorites! Because even though what my kids *will* (or likely will not!) eat drives a lot of decisions around here, many of you know I am not shy to still try to introduce them to new flavors and other's favorites as well. So in honor of mom this week, I planned meals that are ones I often crave and enjoy! If you want to see how I breakdown each meal to make sure that everyone has something at the table to enjoy (even if the main dish shown below itself isn't their favorite! ), be sure you sign up for my newsletter where I give a full meal plan of the main course plus #loveitlikeitlearningit options for what goes with each night's menu. Made with snapper from our Fish Fixe delivery. Ideas and encouragement for how to offer #onemealtwoways from this week’s meal plan! I love roasting whole chickens. 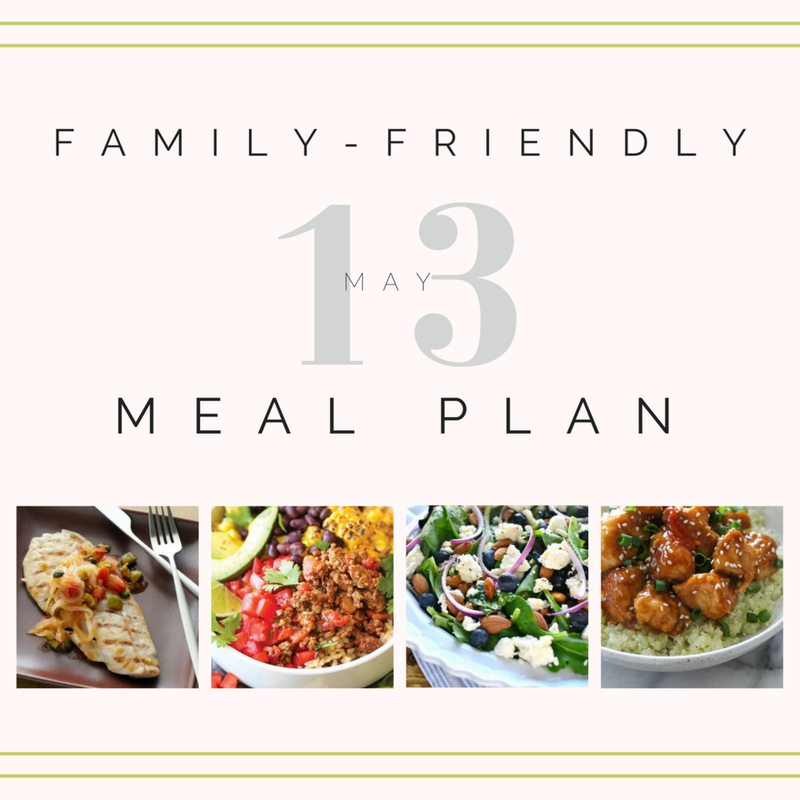 It allows my daughters to eat their favorite part (the legs), my husband to have his favorite (dark meat) and me as mom to eat a small amount of chicken breast while still having plenty leftover for lunches or another dinner during the week! If you have followed any of my "Feeding Therapy Thursday" tips on Instagram, you know I am often taking about food chaining and how to gradually introduce more variety into our children's diets using small, singular changes to "love it foods" (or those foods we know our children tend to prefer). While it may seem like changing something as simple as the shape or the color of a pasta noodle is no big deal, any of us with apprehensive eaters knows that these changes can make or break a meal time. That's one of the reasons I have LOVED introducing Cybele's Veggie Pasta in my home. Unlike a generic box of noodles or even a whole grain option, Cybele's allows me to food chain a favorite food (pasta) in a way that gets key nutrients in as well. With short ingredient lists containing only the foods my kids are otherwise "learning to like" (like lentils, cauliflower, kale, pumpkin, butternut squash, beets, sweet potatoes, and parsnips! ), I have been able to swap out a standard noodle for Cybele's to provide a much bigger nutritional punch. It has taken some time for my oldest to accept noodles in different shapes and especially any noodle made from lentils, but the first time I introduced Cybele's pink "princess noodles" (made from ren lentils, beets, sweet potatoes and carrots - that's it! ), she took to them! Ever since, we continue to rotate through the colors as a fun new "love it food" I can feel good about offering. Use Fish Fixe for easy thawing. Make Vera Cruz sauce in advance. Wash and snap ends off of asparagus. Make in advance to eat for lunch and on taco night. Cook rice and taco meat in advance. Prep corn to grill. Buy pre-riced cauliflower. Make white rice in advance to mix. Make salad dressing. Roast chicken in advance, or buy an already-made rotisserie if in need of an extra-easy dinner. Make spaghetti sauce recipe in advance. Put your feet up, and make someone else do the dishes!